Converting to solar and other forms of renewable energy is clearly a step in the right direction to combat climate change, but it's not without its challenges. What if the sun isn't shining or the wind isn't blowing? Large commercial and industrial customers need reliable power around the clock regardless of the weather. 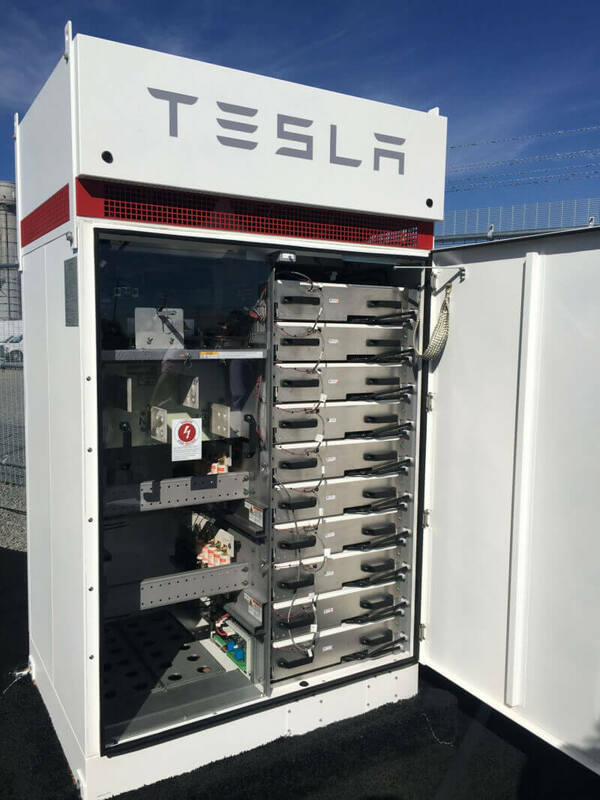 That's where Tesla and their Powerpack battery system comes in. One city in Australia is showing just how good of an investment these systems are. In the past, companies have typically turned to what is called a "grid tie" system which falls back to using energy from the grid during hours of low renewable production. The Powerpack system stores excess energy that the customer isn't using during overly sunny or windy times of the day. This energy can then be used during the night or in less windy times without the need for a connection to the grid. Logan City in Queensland, Australia had recently installed a solar power system for their water treatment plant. Before installing their Powerpack system, they planned to maintain a connection to the grid for when the sun wasn't shining. After consideration, they opted for a single 95kWh Powerpack system and have since saved an estimated $1.5 million in energy costs. They didn't disclose the price of the system, but it is estimated to be around $100,000 - $200,000 and can power the plant 24 hours a day. This rate of a return on investment shows just how much potential these systems have going forward.